RadiOblivion: RadiOblivion No.69 - On Fyre! 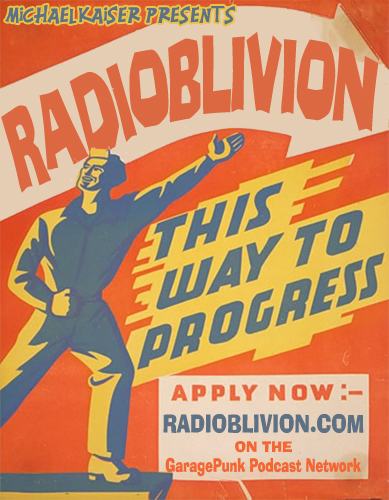 RadiOblivion No.69 - On Fyre! The 69th eppy-sode of RadiOblivion with Michael Kaiser delivers more of that 60's Punk, Garage, Surf, and stuff that catches the folks' insides on fyre!! Wild sounds from Guitar Wolf , The Titans, It's All Meat, the Bugs, Savages, Thee Vicars, the Lyres , Death Hymn Number 9, a whole set from the Locked In To Surf compilations, and more. Its Better Living Through Discarded Music!